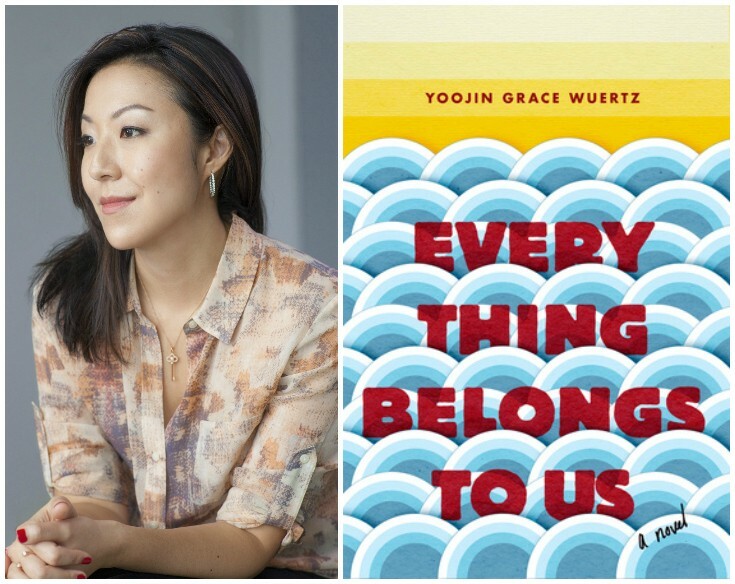 A Review of Yoojin Grace Wuertz’s Everything Belongs to Us (Random House, 2017). I had a couple of false starts with Yoojin Grace Wuertz’s debut novel Everything Belongs to Us (Random House, 2017). I would get in about forty pages, then stop, then leave it down for about a month, then pick it up again, re-start, then stall at page fifty. Rinse. Repeat. This re-starting phenomenon has been happening more often for whatever reason. 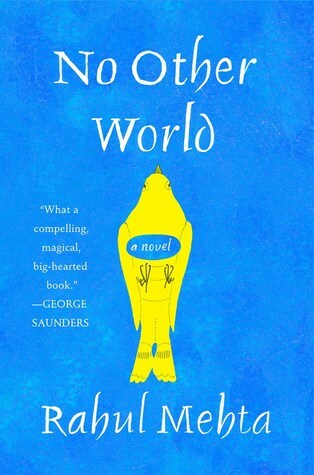 I blame social media and the internet, because the novel itself, once I actually buckled down and settled in, was quite a scrumptious debut, filled with complex characters and associated trajectories. This description does set up the characters and the basic tension, in which Namin and Jisun exists as opposite sides of the same coin. It seems that Jisun idealizes the impoverished background that Namin comes from, the so-called “real world” authenticity that Namin boasts by virtue of coming from poverty. Namin, on the other hand, does not necessarily envy Jisun, but certainly wants to get out of that poverty, while bringing up her family members in the process. That they are such close friends is the biggest fiction that this novel deals with, as we begin to see how fraught that connection actually is. Sunam’s arrival is, of course, the straw that breaks the friendship’s back. As a relatively careless student with an upper middle class background, he doesn’t have a strong sense of the tensions swirling around him, the maelstrom to which he’s been drawn into, and how problematic his idealization of Namin really is. In any case, one of the difficult aspects of the novel is the constant shifts in temporality. Wuertz has a master game plan in mind that makes everything fit together, but some readers may find themselves occasionally unmoored from the various shifts and analespses that she employs. The final arc will also split readers. A hasty epilogue traces about three decades worth of time, which can seem like a hasty send-off given the painstaking detail with which Wuertz carves out of a period of about ten or so years. I was all in until that moment, but the epilogue itself is a minor quibble given the textured portrait that Wuertz gives us, especially of a time period in Seoul that has not been given that much attention from Korean American (or Asian American) writers. While the novel is primarily set in Seoul, there are some obvious transnational dimensions, as some characters occasionally receive schooling in the United States or Europe. In terms of other books I have read by KA writers, I think temporally it’s closest to the work of Samuel Park in This Burns My Heart, but the reading experience is quite different. What this novel leads us to again and again is a sense that a framework is needed that would move Korean society beyond its strongly Confucian ideologies and social relationships, so that alternative kinships and extra-familial relationships can find larger recognition. Also, the novel is a particularly searing account of class immobility in Korea and gives us a sense of the incredibly difficult odds one must combat to move upward in any sense of the word. 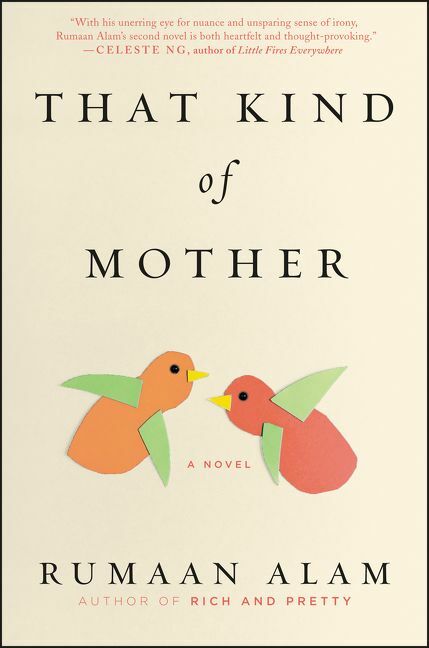 A Review of Rumaan Alam’s That Kind of Mother (Ecco, 2018). Rumaan Alam brings us another installment in the world of female friendships (and alternative kinships) with That Kind of Mother (Ecco, 2018). Alam is also author of Rich and Pretty, which was earlier reviewed here on AALF. This description provides us with an excellent grounding of this novel. What is especially crucial to the novel’s momentum is the deep connection Rebecca makes with Priscilla, so when Priscilla unexpectedly passes away, it is Rebecca who feels an almost suffocating sense of responsibility. The word “privilege” is also key here precisely because Alam is mining that delicate terrain of upper class whiteness, which introduces many complications. Rebecca tries to raise her black child through her colorblind visions, which grates against Priscilla’s daughter Cheryl. But these two and their respective husbands (Rebecca to Christopher; Cheryl to Andrew) and children (Rebecca; Christopher with Jacob/ Andrew; Cheryl with Ivy) manage to forge a relatively strong alternative kinship, even as Rebecca’s marriage slowly crumbles. Rebecca’s husband Christopher, a foreign diplomat turned banker, finds himself drifting away from her and from Rebecca’s sense of propriety. This development is not surprising; Rebecca’s attentions always seem oriented elsewhere: to her mothering of her children Jacob and adoptive son Andrew or to the maintenance of the community she’s developed between her family and Cheryl’s. Rebecca’s career as a poet also begins to take off, after she wins the Yale Younger Poet’s prize. Rebecca’s seemingly quixotic interests in art and writing diverge from Christopher’s practical sensibilities and desire to keep the family afloat through higher paying jobs. Alam’s eye is particularly acute because of the third person narrator’s willingness to mine the subtleties of the mother’s everyday life: the controlled chaos of raising two young children and the rewards that come with this kind of care. The major confrontation of the final arc did make me think that the narrator’s proximity to Rebecca’s perspective was not only calculated but exacerbates the reader’s ability to see past Rebecca’s privilege. Indeed, when Cheryl finally confronts Rebecca about her white privilege, the initial sting first feels catastrophic, but this revelation is of course entirely appropriate: we’re experiencing the shock as closely as Rebecca might and realizing all the way how much we too may have missed because of this myopic, if well-meaning protagonist’s lens. A Review of Tess Gerritsen’s Playing with Fire (Ballantine Books, 2015). So, once upon a time I did have a physical copy of this book, but I actually lost it. Within the last year, I was able to get a hold of an audiobook version, and I decided that it would be a great way to get “work” done, while on walks or in the car. I once tried to engage in this practice. Sometime, when I was still working up at Stanford, I decided to listen to White Tiger all the way down the 5, when I was sometimes traveling between Mountain View and Southern California. By the time I got home, I realized I had only really comprehended about 75% of what I had listened to and that I needed to read it again. Thus, you can imagine I was a little concerned that the same fate would befall me this time around. What’s perhaps most interesting to me about this work is that Tess Gerritsen not only wrote this novel, but composed a piece that is meant to be Incendio. I didn’t realize it as I was listening to the audiobook, but the violin piece that I was hearing was likely the version that Gerritsen herself composed. I had no idea she was that multi-talented. For some reason, this time around I had no trouble getting immersed in this audiobook. I’m not really sure about the difference, but I do believe it has something to do with the fact that I wasn’t driving while listening to this narrative: I was mostly walking around with an earpiece. In any case, what the description doesn’t tell you is there are, based upon my aural recall, two narrative discourses. Julia Ansdell gets a first person narrative voice and then there’s a third person narrative voice that shifts us into the past, back to pre-WWII Italy. In this period, Lorenzo Todesco is getting to know Laura Balboni, as both are talented musicians. But, you know we’re in troubled waters if we’re in pre-WWII Italy. Plus, we eventually discover that Lorenzo is Jewish, and you immediately get that sinking feeling that things will not end well. The narratives don’t really start colliding until Julia begins to feel like she is going crazy and that she must travel to Italy herself to figure out what the mystery is behind Incendio. As she gets deeper into this mystery, Lorenzo’s narrative gets darker and darker, and ever more darker. I found the sections involving Lorenzo and Laura to be, in some ways, far more compelling than anything going on with Julia Ansdell’s life. If there is any critique to be made, I wanted a stronger connection between Ansdell and Lorenzo, more than the fact that both are musicians. The personal conflicts that mire Julia, especially the one involving the history of mental illness in her family, while exerting a kind of narrative weight, fall incredibly flat against the journey that Lorenzo must make. His arc, which does provocatively bolster the title of his violin composition, absolutely overshadows anything related to Julia. In any case, fans of Gerritsen should be pleased, as she gives them (and herself) a break from the Rizzoli & Isles series to spread her wings in other directions. A Review of Min Kym’s Gone: A Girl, a Violin, a Life Unstrung (Crown, 2017). So before I started writing this review, I looked up Min Kym and listed to some of her exquisite performances online. What’s so interesting about Min Kym’s memoir Gone: A Girl, a Violin, a Life Unstrung (Crown, 2017) is that it explores the incredible attachment that the author possesses in relation to her musical instrument, a rare and almost priceless Stradivarius. For Min, her particular Stradivarius allows her to find her most original and daring “violin voice,” if we might call it that. Prior to financing the purchase of Kym’s Stradivarius, the author details her upbringing as a violin prodigy, learning from gifted but equally temperamental instructors. Once Kym is connected with her Strad, her violin life truly reaches an acme. But, the memoir is hurtling toward a darker moment. When Kym is traveling, her violin is stolen, her life becomes “unstrung” as she describes it in the memoir’s subtitle. For Kym, losing the violin is losing a part of herself, so she naturally becomes mired in a kind of depression, desperately hoping that she will be reunited with the instrument and perhaps that lost part of herself. Over time, she realizes that the theft of her violin may not be resolved, so she attempts to carve out other potential pathways in her career and in her life. She even buys a different Stradivarius, though she ultimately knows that this replacement is not the right violin for her. Eventually, the violin is recovered, but because of a complicated set of circumstances involving insurance and her own lack of funds, she cannot purchase the violin back. She is forced to see her beloved “self” be sold at auction. Kym’s memoir is particularly affecting because we can see how much melancholy exists but at this difficult locus of loss; she manages to make clear the unique bond between musicians and their instruments. 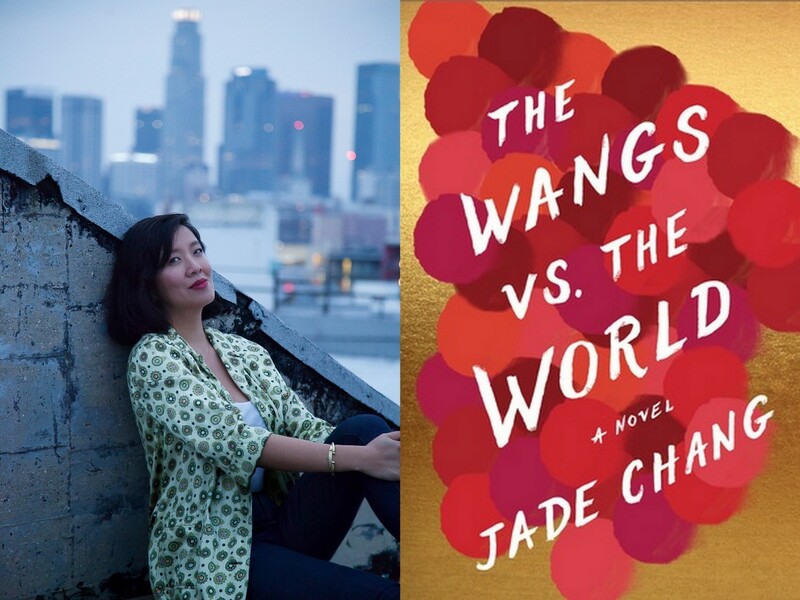 A Review of Jade Chang’s The Wangs vs. The World (Houghton Mifflin, 2016). For some reason or another, I stalled a number of times while starting this novel. I would read it, get stuck about forty or fifty pages in, then I would put it down. By the time I would pick up the novel again, I would have forgotten enough of the basic plot that I would have to start over. Part of the issue is that the novel is, by design, disjointed. The narrative perspective consistently changes among the different Wang family members. At one point, the narrative perspective even shifts to the family car. Indeed, the main formal element to note is that we have a road novel, and the Wang patriarch, Charles, is catalyzed to go on this road trip (along with his second wife Barbra) in order to pick up his younger two children (Grace, who is at a boarding school) and Andrew (who is at a university in Arizona) to head over to the eldest’s home (Saina, who lives in New York). Charles has lost the family fortune and is trying to galvanize the family by consolidating them in one place and time. Chang’s third person narrator is a semi-distant one, in the sense that this figure is poking some fun at these characters along the way. The comic undertones of the novel make this particular work stand out amongst a number of other Asian American family novels. Chang’s work functions more in line with Gish Jen than Amy Tan, but the episodic and shifting narrative perspective occasionally creates some uneven-ness to the reading experience (at least from my position). Saina’s backstory I found probably the most interesting, as she was an artist of some success and celebrity status, but then finds herself in a bit of a rut when the novel starts out. She’s also in a complicated love triangle. Andrew is another very interesting character: he’s interested in stand-up comedy, so there’s a meta-element at least in terms of the novel’s tonality. The relative privilege that these characters possess prior to Charles’s bankruptcy (once that coincides with the Great Recession) is also an aspect that can be polarizing: on the one hand, the lost family fortune certainly jumpstarts the plot, but on the other, you sometimes can’t help but sneer at some of the thoughts/ emotions/ and feelings provided for us through the focalizing perspective. Fortunately, Wang’s narrator is often times right there with us, making it clear that we’re sometimes meant to laugh alongside this storytelling entity. A Review of Alex Wagner’s Futureface: A Family Mystery, an Epic Quest, and the Secret to Belonging (OneWorld, 2018). Lately, the only thing I ever turn on in my car is NPR. The radio station once held an interview with Alex Wagner, who was discussing her mixed genre publication Future Face: A Family Mystery, an Epic Quest, and the Secret to Belonging (OneWorld, 2018). So, this description does a pretty comprehensive job of setting up the basic premise of the work. I call it mixed-genre because it’s a little bit of: auto/biography, historical/cultural studies, and certainly takes some inspiration in style from Wagner’s journalistic background. I’ll also introduce a spoiler warning here, as I think it’s quite critical to discuss the “mystery of” Wagner’s “own ancestry,” which revolves around family lore detailing the possibility of a hidden Jewish background. While proving this genealogical background serves to catalyze Wagner’s quest, her pursuit takes her in unexpected directions. Indeed, she discovers that one of her ancestors may have traveled to the United States under an assumed name and that his name is exactly the same as a person who turns out to be a non-biologically related father. Wagner is determined figure out why these two figures were so closely connected despite having no blood relation and uses many experts and resources at her disposal to find out what she can. On either side of her family tree, Wagner does come to one major realization: that ancestry is the stuff of myth and legend. By uncovering the contexts around her genealogy, Wagner realizes that she must look past a hagiographic perspective to engage more fully the mysteries of one’s family roots. The concluding chapters take on an interesting subject matter, as Wagner seeks to establish some quantifiable data concerning her family tree. She takes a number of DNA tests that have now become popularized and enable an individual to get a basic percentage of certain backgrounds that one possesses. The problem, as Wagner discovers, is that these tests are not all the same and give different baseline results, which gives her pause to wonder whether or not they are all that accurate. Another element that I found fascinating about this study is that Wagner’s investigations into the procedures used to determine basic DNA groupings ultimately relies upon some ossified notions of sample populations. But, what is perhaps most notable about this publication is that Wagner’s work adds to what I consider to be one of the smaller subsets of Asian American literature: Burmese American literature. At this time, I only know of a handful of writers (such as Wendy Law-Yone, Charmaine Craig) in this area, so any new publication from this particular ethnic group is a welcome one! A Review of Jennifer Kwon Dobbs’s Interrogation Room (White Pine Press, 2018). Rejoice! Jennifer Kwon Dobbs has brought us another elegantly crafted and exquisitely arresting poetry collection: Interrogation Room (White Pine Press, 2018). A master at something I can best describe as an avant-garde, interlingual, confessional poetics, Kwon Dobbs traverses a wide geographical and historical swathe in this collection that shuttles us primarily between the tense relationship between the United States and Korea (both North and South, prior to and after the main years of the Korean Conflict). I appreciated the phrase “restore redacted speech” precisely because so many of these poems riff off of existing cultural productions. There’s a poetic palimpsestic process at work, with Kwon Dobbs able to revise and transform existing discourses of militarization, trauma, and subjection. One of the best and most poignant examples is “Reading Keith Wilson’s ‘The Girl,”” which reuses snippets from the lines of the aforementioned Wilson poem in order to give a more prominent context and voice to the titular Korean girl. As Kwon Dobbs opens the poem, the lyric speaker tells us: “I’ve thought about tone/ how white space stages” (53) what will come to be understood as a violent period of time, “Korea 1953” (31). Immediately, the time and place remind us that we’re at war, so that the girl’s objectification is made evident as something produced out of tremendous duress. But Kwon Dobbs is suspicious of this lyrical sympathy as it is one that not simply brings this girl into representational being, but also silences her. A moment in Wilson’s original Korean War poem relates how the girl writes some Korean words, which are not understood. For Kwon Dobbs, this moment exists as a violent mode of erasure, something the lyric speaker denotes as a process in which “he scratched out/ the foreign words/ coaxed from the men’s creased hems” (32). The lyric speaker’s final utterance: “It had to be a girl” is an invocation of the ways in which representation elides the material violence faced by females during wartime. Sympathy only does so much, the lyric speaker reminds us, so the “tone” must take us elsewhere, to a sense of anger and to this revision which casts a dark gaze over the military personnel who partake of the imperiled lives of women in war zones. Another excellent example of the riffing process that Kwon Dobbs engages in occurs in “A Forest in Jeju, South Korea,” which is a poem written for Jane Jin Kaisen. Kaisen ends up directing a documentary based upon the 1948 Cheju (Jeju) island massacre; this film is the inspiration for Kwon Dobbs’s lyrics, which transform the jeopardy of islanders into textual form: “He hides under brown/ improvised/ from neighbors’ corpses,/ conceals/ his baby sister inside/ a cow’s gutted stomach” (20). The grotesque imagery here focuses on the layers of subterfuge at work in this moment. While this figure is forced into hiding for his very survival, that moment is of course also further encrypted by US military forces and their accounts of the massacre itself. Thus, Kwon Dobbs’s lyrics are always exposing us to a wider, more textured understanding of the violent encounters produced by war. The urgency in these lyrics is always made ever more palpable by the clipped quality of Kwon Dobbs’s lines: never maudlin or overwrought, Kwon Dobbs keys us squarely into the quietly miraculous nature by which so many have managed to endure under the catastrophic designs of empire. A Review of Jenny Han’s Always and Forever, Lara Jean (Simon and Schuster for Young Readers, 2017). 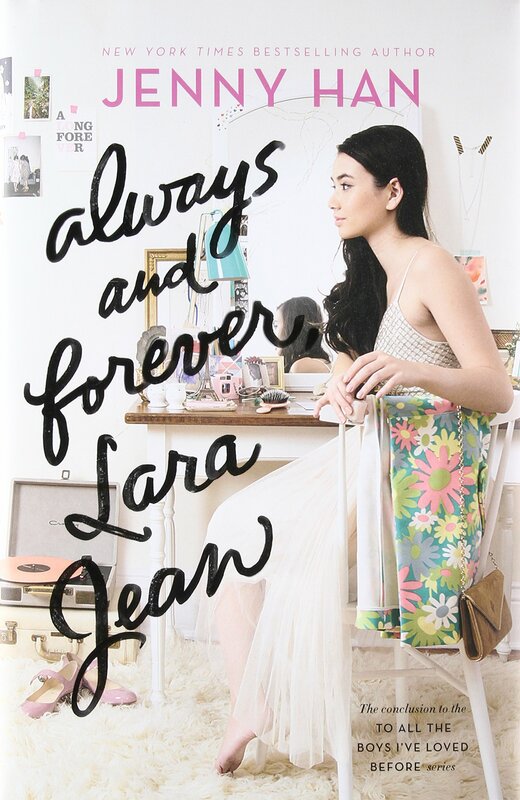 I’m reviewing Jenny Han’s Always and Forever, Lara Jean (Simon and Schuster for Young Readers, 2017), which is the final installment from the series that began with To All the Boys I’ve Loved Before and continued with P.S. I Still Love You. A simultaneous strength and weakness of this particular work is that it diverges from the formula of previous installments: Lara Jean isn’t fighting to figure out which guy is the right one for her. Romantic tension and the triangle are effectively absent in this particular work. Instead, romantic issues derive out of whether or not Lara Jean and Peter are going to stay together because of their divergent college decisions. Peter gets into University of Virginia on an athletic scholarship for lacrosse. Lara Jean does not get in, effectively eliminating their plans to continue dating, while they are enrolled at the same school. Fortunately, Lara Jean gets into the College of William & Mary. Though it’s not exactly next door, the distance is prohibitively far, and things get messy once Lara Jean gets accepted into University of North Carolina—Chapel Hill (off the waitlist). Ranked higher than the College of William & Mary, an impromptu trip to the university (with her bestie Chris) convinces her that the school is the right choice for her. At the same time, this college choice would move her further away from Peter, leading to yet more problems between them. The other major plotline is given to Lara Jean’s father, who has fallen in love with the neighbor across the street, Ms. Rothschild (aka Trina). They’re getting married, which is perfectly wonderful according to Lara Jean’s perspective (and her little sister Kitty’s), but their older sister (Margot), who is still across the Atlantic in Europe and now dating a new guy, isn’t so taken with Ms. Rothschild. So, there’s another issue about family unity in the face of a considerable change. The problem of this work is that the issues do not always generate enough narrative momentum. Yes, Lara Jean might worry about how to perfect a cookie recipe or whether or not she’s going to lose her virginity with Peter at Beachweek, but nothing ever seems really in peril or at stake. Even the general spats between Peter and Lara Jean continually resolve through texting, as one character or another is quick to apologize and declare undying love the very next day. There is an interesting moment when Lara Jean, referring to something that Peter says, realizes that Peter’s unflagging devotion is only something that a teenage boy could say: it made me wonder, just for a sliver of a second, whether this book seemed to be a retrospective. Indeed, that moment made me think that the gravity of this work might have been heftier had it been told in this fashion, with a slightly older and warier Lara Jean, looking wistfully back at a past that had gone into myth, because that's what this novel reads mostly like: a period of almost-perfect potentiality when all seems possible; nothing seems out of reach. Without the realistic tinge that this more reflective retrospective voice provides us, the novel, even with its occasional dilemmas, seems just a little too crystalline: we’re waiting for that anvil to drop. Given Lara Jean’s bubbly perspective, I have no doubts that whatever mess that she might have found herself in had this novel gone the distance, she would have clawed her way out, baking her way to a fresh, perhaps more nuanced perspective about life, love, and post-teenage devotion. 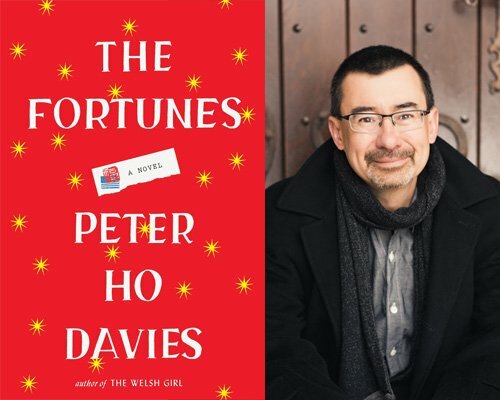 A Review of Peter Ho Davies’s The Fortunes (Houghton Mifflin, 2016). As I relayed my reading experience to my sisters, they both told me that I was probably the one person that this publication was NOT written for, precisely because Davies uses Asian American figures for the basis of four different narrative sections, which makes up this polyvocal work. The first section is devoted to a Chinese railroad laborer, the second to Anna May Wong, the third to a friend of Vincent Chin, and finally, the last based upon the writer—Asian American, biracial, father to an adoptee, or otherwise—himself. Though modeled on “real” people, this work is largely a philosophical meditation on what it means to be Asian American at different points in history and how these moments are telescoped through varying challenges related to success and upward mobility. As a trained Asian Americanist in literature and culture, this novel treads a lot of similar ground concerning what I teach in the classroom, so there was a kind of ennui I did feel, which is why my sisters pointed out that I probably was the most “un” ideal reader for this work. At the same time, I completely understand the value of Davies’s approach, especially when the author treads meta-representational ground in the fourth section: what is the burden of identity when it comes to telling stories? In this sense, we can say that Davies has made his intervention with respect to what it means to be an Asian American writer, which is perhaps more complicated for the author who can also be defined as the mixed race writer. It’s not an accident, too, that this publication comes on the heels of The Welsh Girl, which explored vastly different cultural, ethnic, and racial contexts, and was a novel that I considered when writing my first book. Not surprisingly, I don’t see much (or any) criticism on The Welsh Girl from Asian Americanist critics, though its exploration of labor, class, and ethnic difference certainly dovetail with thematic preoccupations of the field. What makes a writer legible, what makes his work a success, how does one achieve “fortune” as an Asian American more broadly and as an artist? If there is a section that I unequivocally recommend, it is definitely the first of the four. It is there that Davies gets a chance to showcase his regionalist eye, one that I saw on full display in The Welsh Girl, and reveals a writer attuned to epic descriptions of the landscape. You get a sense of the awe and the immensity of the “frontier,” as the protagonist from that section travels by train to a labor camp. This opening section is perhaps also the most deliberately plotted in a more realist sense and the reportage that follows in the Anna May Wong portion feels much less hefty. To a certain degree, this change in approach is necessitated by Davies’s point: Wong’s life and career are always a little bit skewed by media and by the publicity machine. The writer himself is of course inculcated in this distortion, which is certainly a reason for relaying a punctuated and fragmented narrative in this second arc. The section from the perspective of Vincent Chin’s friend was also a welcome shift in terms of viewpoint that allowed Davies a chance to reconsider this traumatic moment. The final section I appreciated simply for the ways that Davies could play with his own background in the construction of a character. As the work moves back to China, The Fortunes comes full circle, establishing a fitting close to an ambitious, if admittedly uneven, fourth publication. 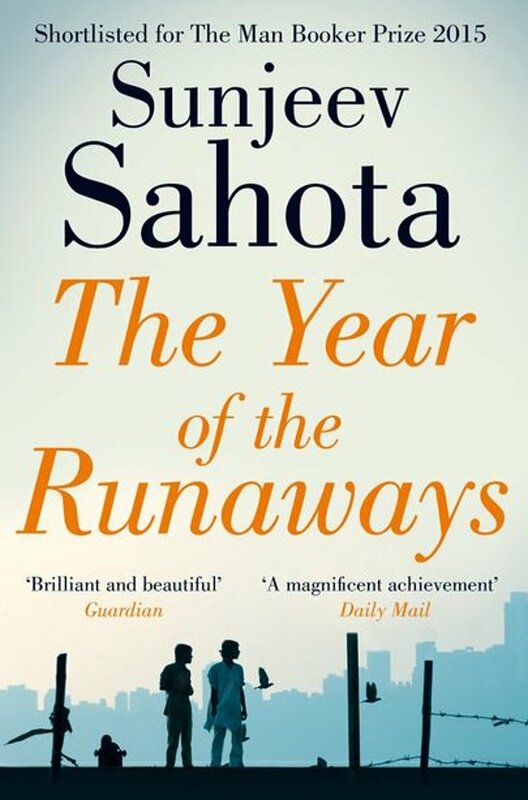 A Review of Sunjeeva Sahota’s The Year of the Runaways (Knopf, 2016). Shattering is a pretty good description for that year; all characters are pretty tragic in their own ways, and I found parts of this novel fairly depressing. There’s quite a bit of cultural knowledge that one may unfortunately lack before reading this work. I found myself struggling with certain terminologies. For instance, I didn’t know that the term chamar was used to describe the caste that has been more familiarly known as the “untouchables.” During one of India’s many religious riots, Tarlochan and his family are brutally and horrifically targeted. Tarlochan, aka Tochi, leaves for India in the wake of this tragedy. For his part, Avtar wants to be able to provide for his family, while also properly courting a wife. His romantic object is none other than the sister of Randeep, who himself is struggling because his father is suffering from a mental illness that has destabilized their financial situation. For Avtar to get the funds to travel to England, he sells his kidney on the black market, while Randeep is able to negotiate his way to England via a sham VISA marriage. Narinder’s story concerns guilt that stems from the death that might have been avoided had she agreed to help a friend. The novel ultimately hinges on Narinder’s presence: she is the glue that ends up bringing all four characters, however disparate in their interests, together. Her depiction is in part what really lifts Sahota’s story to a different register, but it is Narinder’s philosophical and spiritual beliefs that are put to the test in the course of this difficult, but luminous novel. While some of the narrative threads no doubt dovetail with common immigrant tropes, Sahota’s depictions and sure-footed focus on the existential and material reasons behind transnational movements make this novel rise above so many similar ones. Readers are motivated to consider Narinder’s motives as both naïve, yet touching, and Sahota’s epilogue, though rushed, serves to show us that her purpose and quest, however flawed, somehow still manages to succeed. Sahota thus provides a measure of closure without settling it in a maudlin, unrealistic way. Characters survive and perhaps even succeed, but often at great cost. A Review of Karen Tei Yamashita’s Letters to Memory (Coffee House Press, 2017). While I was still living in the Bay Area, I would occasionally have the wonderful luck of hanging out with Karen Tei Yamashita. I had been hearing tidbits of Yamashita’s newest project and had been excited to hear about its progress, and here we are! In any case, what a treat to be reading this particular work, which is Yamashita’s most recent foray in creative nonfiction. It’s been awhile since she’s really engaged in this kind of writing, and I’ve forgotten how playful Yamashita can be when blurring the lines between what is imagined and what actually happened. What Yamashita works with is the problem of the archive: things are always missing, because a basement will get flooded destroying valuable documents, letters will be lost, memories get fuzzy, and official files will get redacted. Yamashita is well aware of this predicament and constantly employs conditionals throughout Letters, saying things like, “it could have” or “might be” or “would have been” in order to offer possible motivations, possible outcomes and possible consequences. At the same time, Yamashita has some obvious firm grounding under her, employing anchor points and events in her family’s history and how that history intertwines with larger national and transnational forces occurring throughout the 20th century. Notably, Yamashita’s Letters adds to the sansei internment corpus, elaborating upon the ways her family became impacted by that event. One of the more intriguing particularities of this addition is its exploration of religious and spiritual discourses that kept the Yamashita family together. Out of this strain of representational inquiry, Yamashita paints a rich picture of her father, who pursues his spiritual projects with a fervor that certainly inspires and illuminates. The production level of Letters is wonderful, with appropriately placed visuals, documents, and photographs appearing throughout. But what always stamps the narrative stylings of a Yamashita publication is that witty narrative discourse, one that reminds us that we’re moving through a whimsical landscape full of texture and nuance. An absolutely effulgent journey into the always contested past of the (extended) family. sorayaz - A Review of Yoojin Grace Wuertz’s Everything Belongs to Us (Random House, 2017).